This beautiful A4 Christmas Invitation from Cristina Re featuring the Seasons Greetings Baubles design. Comes in a pack of 25 A4 sheets. 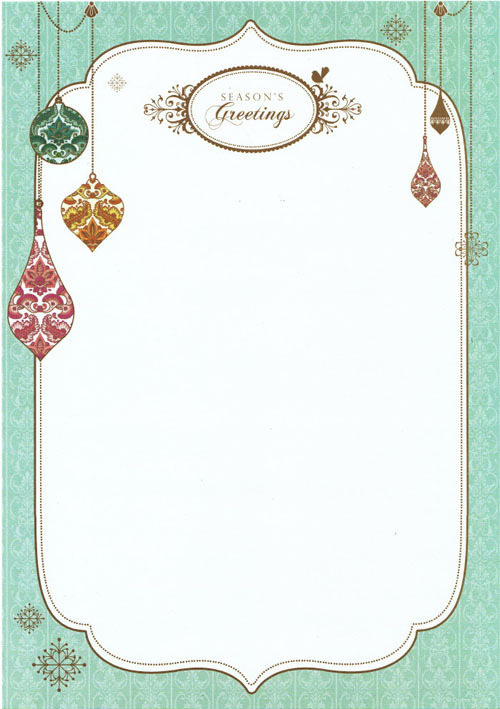 Can be used for your special Christmas Party invitations or your Christmas letters.